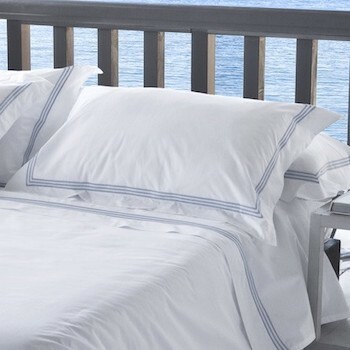 Elba´s super king size brilliant white 400 thread count cotton flat sheet, spun from superior long staple combed fibres is made in Portugal with the attention to detail and quality only european made products ensure. Hotel-luxe inspired, Elba´s tailored simplicity molds perfectly to any bedroom space be it town house, beach house or inner city apartment. 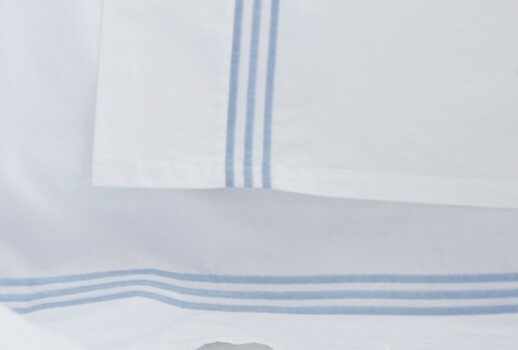 Our super king sized flat sheets come with sky blue coloured triple cord embroidery at the head of the sheet to add that extra touch of elegance to your bed. 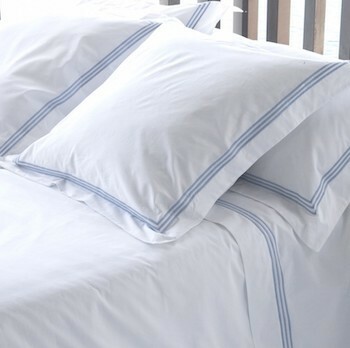 To complete the look add a quilt cover or oxford pillowcases to capture the designs Mediterranean style and easy living appeal.